I knew Darkstalkers would be back and now the relaunch of the classic games are now on it's way to your consoles at the start of 2013. 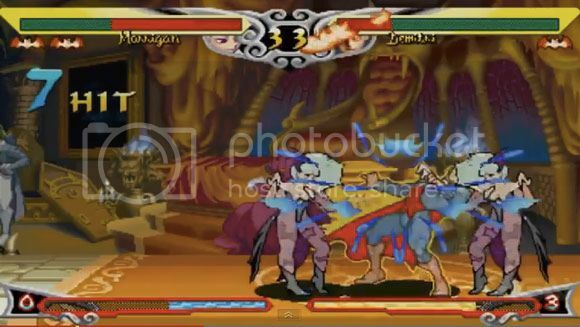 With this news comes more excitement for a new Darkstalkers game possibly "Darkstalkers 4". We all know that rumors have already been circling around for quite a while and we're probably going to expect a fighting game engine similar to Street Fighter X Tekken which I'm sure everyone's familiar with by now. Too bad I really didn't like that engine, but I'm still going to try and play the new Darkstalkers game if and when it comes out. For now just go ahead and watch the announce trailer for Darkstalkers Resurrection after the break.